The challenges and opportunities associated with turning downtown office towers into condos and apartments. And how it could change our city. More than one-quarter of downtown Calgary office buildings currently sit empty for a bunch of reasons — especially the price of oil. The core of our city has hollowed out over the past few years, and there's been a lot of chatter about what to do about it. One of the ideas that's rolled around is the conversion of office space into condos or apartments. The owners of the 11-storey Barron Building on Eighth Avenue S.W. — former home to the Uptown Theatre — are giving it a go. Strategic Group plans to gut the building and create 94 rental apartments. Commerical-to-residential conversions aren't new in Calgary. They saw some success in the early 1990s. Think the Lewis Lofts. But there are challenges and risks. Strategic Group — which bought the Barron Building a decade ago — originally had different plans for the 100,000 square feet of space. 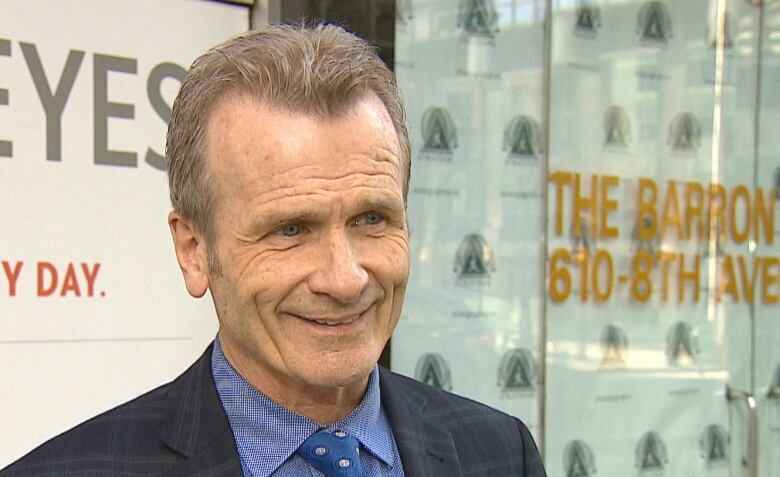 "So we were going to actually convert it to an office building," Ken Toews of Strategic Group told CBC News. But then, recognizing the office building market in Calgary was in serious trouble, the company changed plans. "There is a growing demand for rental apartments," Toews said. "There is a strong market, and to be able to be located right in the downtown is key. And we're going to be right on the Plus-15.… We'll be the only apartment building in Calgary that's on the Plus-15, so there are some big benefits for that as well." Spitting distance from the LRT line and dozens of bus routes, located near bars, pubs, restaurants and retail, the Barron Building ticks a lot of boxes. On paper. But it's an old building. And commercial buildings are built differently than residential. Redevelopment will mean spending a lot of money, meeting different building codes and convincing people to pick up sticks and move into the core of the city — a core with a reputation for streets that roll up after the work day is done. Toews says, however, his approach is "build it and they will come." "I guess it's sort of a chicken-and-egg thing. The more people that live downtown, the more amenities there will be," he said. But, warns a Calgary-based freelance urban writer, conversions like the Barron could be a tiny drop in a big vacancy bucket. 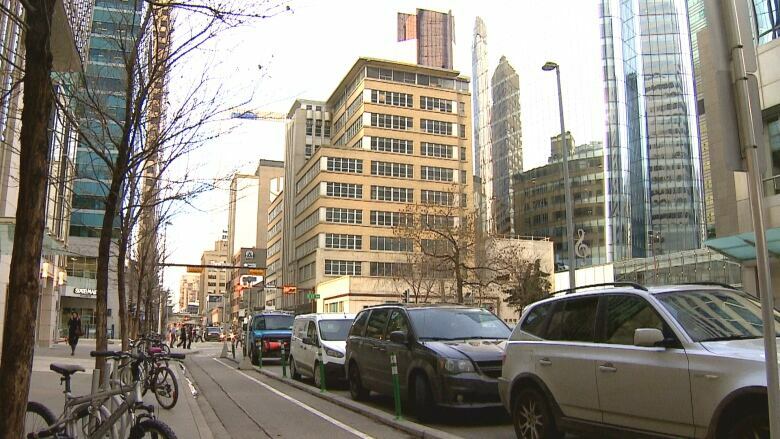 "It will help but it's not the ultimate solution," said Richard White, former executive director of the Calgary Downtown Association. White said there are only a handful of downtown buildings that easily lend themselves to being converted into residential space — those being mostly older buildings. "From an office point of view, our biggest vacancy rate is with relatively new office buildings, and taller towers that don't lend themselves to being converted. We might get half-a-million square feet out of 10-million square feet, we might even get a million, but it will probably only account for 10 per cent of the overall vacancy in office space." So ... not exactly a cure for all our vacancy woes. But at least something. Yet for those developers or owners looking at going residential, White says there are specific kinds of people who may be interested in the former office tower lifestyle. "Many of them don't have parking stalls so the renters are going to have to be people who don't have a car and that limits their marketability," White said. But changing lifestyles may make that less of an issue. "My guess is there would be enough people that ride bikes or live downtown without cars to be able to accommodate 94 suites without parking," said Tim Crough. He's an associate real estate broker with four decade of experience. "With the LRT and car2go, if I was doing it, I wouldn't put parking in, if the city would allow it." Strategic, however, does plan on adding underground parking to the Barron. With or without parking, such conversions have been tried before here in Calgary. "It has been done here before but not for quite some time. I haven't seen one done since probably the early 1990s," Crough said. He's talking mostly about commercial warehouse space flipped to condos and lofts. Places like the Lewis Stationery Ltd. building, the former Safeway office warehouse on 10th Avenue S.W. and the Refinery building on First Street S.W. Certainly those conversion developments changed the neighbourhoods where they were situated. That's something White says the downtown core could use — something to help deal with those tumbleweeds drifting through empty streets after dark. "It's a great piece of the puzzle to help get rid of office space and also to bring more people downtown. Residents will take ownership in the downtown in a much different way than office workers will," White said. "Toronto and Vancouver have a lot of residential downtown," said Towes of Strategic Group. "And we've seen what that does to their downtown. So hopefully we can do the same type of thing in Calgary." Beyond lifestyle changes, Strategic Group is hoping the Barron Building will be a financially lucrative opportunity. "I think if you're creative, you could maybe do up to 10 [more conversions in downtown Calgary]. We've got plans for two more, and we may even do a third. You just have to look at it creatively, not all buildings work," Toews said. OPINION | Can Calgary really cram 650,000 more people into existing neighbourhoods? With files from Radio-Canada's Tiphanie Roquette and Louise Moquin. David Bell was the first graduate of Mount Royal University's Bachelor of Communication in Journalism program in June 2009. He has worked full time ever since in print, radio, television and now online. As a Video Journalist based in Moncton, N.B., his work was regularly featured on a national news channel. He brought that experience to the CBC Calgary digital team in 2015. Can Calgary really cram 650,000 more people into existing neighbourhoods? Calgary now has 202 neighbourhoods: Should we get rid of some?